Bangalore: Finally it happened. Scott Thompson gave up to the resume scandal and stepped down from his post leaving behind a onetime giant, now struggling in bewilderment. He did a lot of things- sued Facebook, laid off thousands, tried to sell a portion, but in the end, as usually happened with Yahoo- nothing worked out. 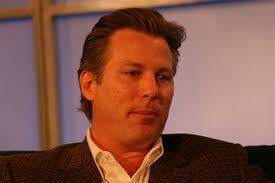 So meet the new interim CEO of Yahoo, Ross Levinsohn, who is company’s sixth CEO in five years. Who He Was? Levinsohn was best known for being the president and general manager of Fox Interactive Media, owned by Rupert Murdoch’s News Corp. Levinsohn was the main architect behind News Corporation’s $580 million acquisition of Myspace and a $900 million search deal with Google. Later, he left News Corp to be a VC and found Fuse Capital, a Venture Capital firm. In October 2010, he joined Yahoo as Executive Vice President of Americas and later became Head of Global Media and Executive Vice President. What Now? As the interim CEO, Levinsohn stepped into a company, where CEOs never had a good approval rating among employees. Carol Bartz, the predecessor to Scott Thompson held the largest approval rate of 54 percent whereas Scott, himself held 48 percent. So we will have to wait for some more days to know whether Levinsohn will be made permanent in his position, or the board directors are planning for a new surprise. 0 Response to "Meet Yahoo's Sixth CEO in Five Years, Ross Levinsohn, New CEO Of Yahoo"